Most of the times Internet of Things connected devices complements the user experience of the product with beautiful mobile applications or web interface. Usually it is a native app sometimes a website, having in mind that the UX is essential for the success of the connected product. At thethings.iO IoT platform we help companies who are connecting their products to the Internet to collect data, analyze it and visualize it. We are working with dozens of companies giving them support to build their own mobile apps or frontend on the top of thethings.iO API (or websockets). 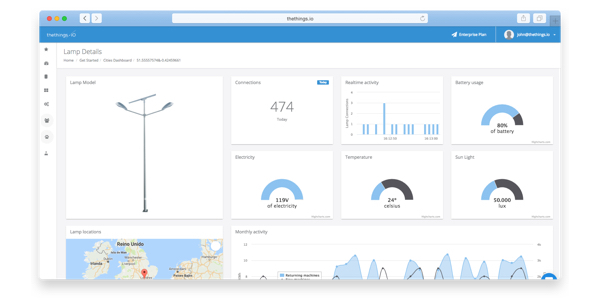 On the other hand, we have several customers using thethings.iO dashboard composer (Apps Manager) in order to give access to 3rd parties or their final customers to the data of the devices (or subset of data). 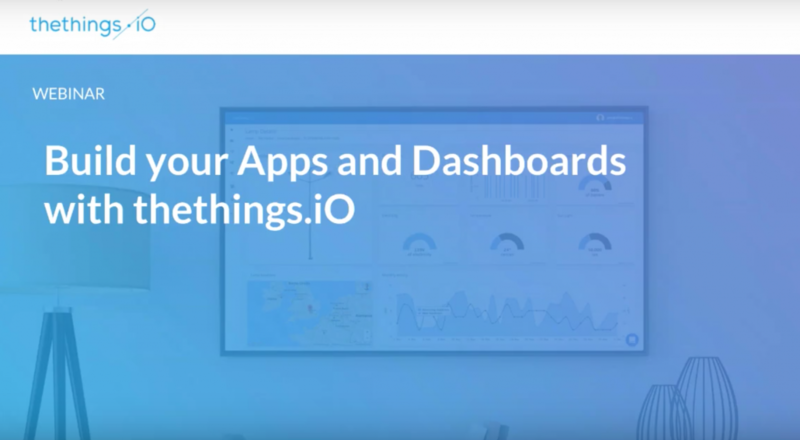 During this webinar, we will explain how to connect a mobile application with thethings.iO API or how you can build a dashboard with thethings.iO dashboard composer. If you are connecting a product to the Internet and you want to reduce your time to market. Don’t waste more time and contact us at thethings.iO. thethings.iO is the most simple enterprise IoT platform.